Marissa Meyer – Winter. Release: 10 November 2015. # of characters who get their own POV chapters: 11. Unless I’m forgetting some. Semi-randomly selected teaser sentence: “No. She will never be queen.” She swayed toward him, and he felt like he was being encircled by a python, smothered and choked. And something fun I also want to share, extra information: Guide to Lunar characters. Sarah J. Maas – A court of thorns and roses. May 5th 2015. When nineteen-year-old Feyre plucks a forbidden rose from the ground, a wolfish creature arrives to punish her for it. Dragged to a treacherous magical land she only knows about from stories, Feyre discovers that her captor is not an animal, but Tamlin, a High Lord of the faeries. And as she learns more about him, her feelings for Tamlin transform from hostility to a fiery passion. But the threats against the faerie lands are growing, and Feyre must fight to break an ancient curse . . . or lose Tamlin forever. No mortal would dare venture beyond the borders of their world to Prythian, a forbidden kingdom of faeries. But Feyre's survival rests upon her ability to hunt and kill, and when she spots a deer being pursued by a wolf, she cannot resist fighting it for the flesh. Killing the predator comes at a price though - her life, or her freedom. Dragged to Prythian, Feyre discovers that her captor, his face obscured by a jewelled mask, is hiding far more than his piercing green eyes would suggest. Feyre's presence at the court is closely guarded, and as she begins to learn why, the faerie lands becomes an even more dangerous place. I also hunted down a couple of teasers, which you can find over here and here. Rosamund Hodge – Crimson bound. May 5, 2015. Though not set in the same world as Cruel Beauty, Crimson Bound is also inspired by fairy tales: Little Red Riding Hood (specifically this version:http://www.sjsu.edu/faculty/harris/St...) meets (genderswapped) Girl With No Hands. With bonus apocalypse. And kissing. Jessica Khoury – Untitled. No release date yet. A retelling of the story of Aladdin told from the perspective of the genie--a girl named Zahra--who falls in love with Aladdin even as she is bound to grant his wishes to win the heart of a princess. A.C Gaughen – Lion Heart. May 19th, 2015. No information, but I had to share this cover. Look how pretty! Sara Saedi – Never ever. 2016.Inspired by PETER PAN, it tells the story of a girl and her two brothers; when a handsome stranger invites the three of them to a secret island where no one grows old they think they've won the lottery, but they soon discover that something sinister is going on. Melanie Dickerson – The huntress of Thornbeck forest. "Swan Lake" meets Robin Hood when the beautiful daughter of a wealthy merchant by day becomes the region's most notorious poacher by night, and falls in love with the forester. Jorgen is the forester for the wealthy margrave and must find and capture the poacher who has been killing and stealing the margrave's game. When he meets the lovely and refined Odette at the festival and shares a connection during a dance, he has no idea she is the one who has been poaching the margrave's game. Odette justifies her crime of poaching because she thinks the game is going to feed the poor, who are all but starving, both in the city and just outside its walls. But will the discovery of a local poaching ring reveal a terrible secret? Has the meat she thought she was providing for the poor actually been sold on the black market, profiting no one except the ring of black market sellers? The one person Odette knows can help her could also find out her own secret and turn her over to the margrave, but she has no choice. Jorgen and Odette will band together to stop the dangerous poaching ring . . . and fall in love. But what will the margrave do when he discovers his forester is protecting a notorious poacher? Christine Norris – A curse of ash and iron. 2015. Eleanor Banneker is under a spell, bewitched and enslaved by her evil stepmother. Her long-lost childhood friend, Benjamin Grimm, is the only person immune to the magic that binds her. Even if he doesn't believe in real magic, he cannot abandon her and must find a way to breach the spell – but time is running short. Wendy Higgins – The great hunt. Retelling of the Brother's Grimm tale "The Singing Bone." Pauline Harris – Puppet. October 2014. When Penelope makes a deal with Jed, a marionette-obsessed scientist, she doesn’t fully realize what she’s getting herself into. In order for Jed to take her away from the orphanage she lives in, she must first agree to undergo his experiments and tests, ultimately creating something no one ever dreamed possible; the first living marionette. As Jed shows off his scientific creation to the world, concerns arise surrounding Penelope’s abilities and what she’s capable of doing. Ordered to somehow lessen her abilities, Jed makes a desperate attempt to change Penelope to make her more human, more vulnerable. After Penelope lies to the officials about her past, Jed makes sure it’s the last one she’ll ever utter. The truth is now the only thing she is capable of telling. As Penelope struggles with her past, her disturbingly new present, and her uncertain future, she is thrust into a magically twisted world of mayhem in search of the one thing she wants, but knows she can never have. The chance to be just a girl again. To be normal. To be real. Sarah Porter – Vassa in the night. Vassa In The Night is a magical, modern-day retelling of the Russian folktale "Vassilisa the Beautiful" about a girl with an evil stepsister and a magic doll given to her by her late mother; which according to the publisher, "does for Brooklyn what Francesca Lia Block's Weetzie Bat did for Hollywood." Inspired by the tale of Blackbeard, it's the story of a forbidden romance between a servant girl desperate for freedom and the master's son who dreams of a life at sea. But they are caught up in something bigger than their circumstances: a love that changes the course of history. Michelle Diener – The silver pear. October 1st 2014. An unlikely princess.. Kayla is determined to master her new-found abilities as a wild magic witch. She's learning everything she can so she and her betrothed, Rane, can put a stop to the sorcerers who are recklessly gathering their power, building up their magic to take each other on in a war that will destroy the countries of Middleland. An even more unlikely sorcerer.. Mirabelle's father was one of the greatest sorcerers in Middleland, but when he used the magic in the silver pear to bespell his pregnant wife to give birth to the greatest sorcerer who would ever live, he never thought that child would be a girl. Mirabelle is nothing like a usual sorcerer, confounding every expectation, and when she comes to the rescue of Rane's brother, Soren, she makes a decision few sorcerers would. She saves him, rather than herself, losing the silver pear in the process. And using magic always exacts a price.. With war not just a possibility but simply a matter of time, there are no neutral parties and no fence-sitters in Kayla and Mirabelle's new world. Everyone is either an ally or an enemy and there is a price to pay for everything. The question is, how high will it be? Renée Ahdieh – The wrath and the dawn. The book, the first of a duet, is a reimagining of The Arabian Nights, where the wits of one girl are the only thing standing between a vulnerable kingdom and its ruthless boy-king. Mackenzie Lee – The shadow boys are breaking. Pitched as a reimagining of Frankenstein set in an industrialized 1818 Geneva, where a teenage mechanic must rediscover the line between man and monster after he uses clockwork to bring his murdered brother back from the dead. Lisa Maxwell – Heartless things. Gwen and her best friend are abducted to a dark world akin to Pan's Labyrinth called Neverland, but it's nothing like the fairy tale. To rescue her friend, Gwen must decide whether to trust a roguish young pirate or the boy who calls himself Pan. Heather Lyons - The collector's society. C.J Redwine - The shadow queen. A dark fantasy inspired by "Snow White". A princess has lived in hiding from her stepmother for years, until the false queen sends out a new kind of huntsman – the crown prince of a nation of powerful dragon shifters, desperate enough to save his people to ally himself with even an evil usurper. That's it for this edition. Did you find some new books to add to Goodreads? Thanks for this list! I'm looking forward to Winter and Fairest, and the new Naomi Novik. After this, I'll also be on the watch for A Court of Thorns and Roses! Oh, and not a fairy tale, exactly, but I'm looking forward to the sequel to Seraphina, called Shadow Scale. Thank you so much for this Mel, I love retellings and I never really know where to go to look for them. A list is always good to have and look through and some of those covers are just so beautiful. Can't wait to grab some of these! I am currently reading Cinder, and I am loving it to pieces.I have always been a huge fan of fairytale retellings, especially about my favourite stories, so it makes me happy to know that there are a lot of good books in that genre to look forward to. A court of thorns and roses sounds amazing. Just like I told you the other day, my favourite fairytale is Beauty and the Beast and when it's retold by one of my favourite authors, I have an instant feeling that I am going to love that book. I'm so excited for new Maas and Meyer. They're both brilliant writers who get better with each instalment! I'll be honest. I'm leaning more towards Maas right now. How enticing does that premise sound?! I haven't read many tales that do faeries justice (but then again, I haven't chanced upon Kagawa yet) so I'm hoping this one will be a hit! OH MY GOD A RETELLING FOR ALADDIN. I just love that fairy tale so much! And YESSS WINTER is my most anticipated release next year, I just can't wait! Great to see another Sarah J. Maas story that isn't Throne of Glass, I wonder what it would be like. This is absolutely the best way to stay up to date on all the new 'fairy tale-ish' books that are being published! For real, I had a blast adding most of these to my Goodreads! Also, I probably don't have to say this, but I am SO INCREDIBLY EXCITED for A Court of Thorns and Roses! Gosh, some of these covers are absolutely beautiful, definitely fairytale-worthy! I especially like the look of Mechanica. Great new feature! I love things like this. I can't wait for Fairest. I'm SO ready for it! Also can't wait Crimson Bound. Very excited for it. Never Ever is a new title to me. I happen to LOVE Peter Pan retellings so that's awesome! Ohmygosh Mel, what have you done to me? Pretty much all of these sound absolutely amazing, and I fear my TBR will grow exponentially by the time I go through them all on Goodreads! Amazing post! Thank you for sharing, I now have a few more additions to add to my TBR. I am so beyond excited for A Court of Thorns and Roses!!!!! It will tide me over until the next Throne of Glass book. OMG my TBR pile is about to be inundated!!! I can imagine this took a while to put together, thanks for all the news! Thank you for this post!! I love fairytalle retellings and I am so happy that more and more authors are writing them. However, it is really hard to keep track of all of the awesome retellings and this post has helped me so much!! Also, I cannot wait Lion Heart to release!! I need to know what happens next in that series! Is it May yet? OOOH! 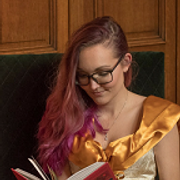 I had no idea about this new Sarah J. Maas series! Added that immediately, considering I'm only on the third novella of ToG and already know that I'm going to be addicted to THAT series lol. I'm really excited to read Fairest, sadly I haven't even picked up Cress yet, oops. Oh, and CJ Redwine's new book... SUPER excited for that one!!! I'm so incredibly excited by another Alice in Wonderland retelling, the original had been a favourite of mine since I was old enough to read. Being released as NA worries me a little that it's focus more on the characters rather than world building, which would be such a shame. Also going to keep an eye out for Wendy Higgins as well. Big fan of her work, she has such a vivid imagination and no doubt that one will be epic. I haven't read anything by Higgins before, but this book definitely put her on my radar! Fairytale retellings are my kryptonite! 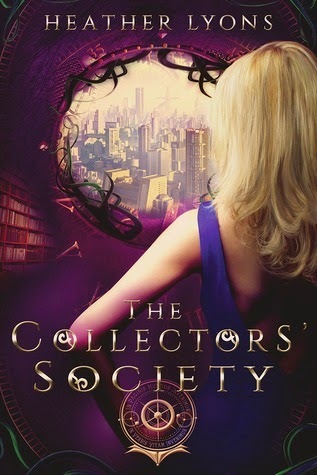 I can't wait for Crimson Bound and The Collector's Society! I wasn't even aware of A Court of Thorns and Roses, I am curious now! I love retellings, so this is an awesome post! A Court of Thorns and Roses is bound to be amazing, as it's Sarah J. Maas :) The Collector's Society also sounds really good. I love that cover! I'm looking forward to The Collector's Society, but I am beyond freaking excited for A Court of Thorns and Roses. It's been on my TBR for over a year and I'm thrilled it finally has a release date! Wow, I didn't realize there were so many fairytale retellings to come! If I had to choose which ones I'd read or am interested in, it'd be the Marissa Meyer books (duh), the Jessica Khoury book (just because I love Aladdin and would love to read a retelling of it), and Mechanica (primarily because of that cover - gorgeous)! Mechanica has an AMAZING cover. A COURT OF THORNS AND ROSES /dies I'm SO EXCITED for this and not just because it's Sarah J Maas but also because it sounds SO GOOD. Since the release of Throne of Glass her writing has definitely matured, so I can only imagine how much awesome is going to be packed into ACoTaR. AND it's a Beauty and the Beast retelling which is my favorite Disney story of all time. I started A.C. Gaughen's Lady Thief back in February but never finished it. :B I didn't DNF it but I just couldn't get into it again. It was the start of my slump, though. I LOVE the covers though! They're all so gorgeous. I never realized how many fairytale retellings there actually are! So many retellings. Damn, I am impressed with your homework. I take the blame with pride ;) haha. Yes to Winter and Fairest and A Court of Thorns and Roses. I didn't love Cruel Beauty so I really hope I like Crimson Bound better. Also, yesss to Lion Heart. That cover is just gorgeous! Stiefvater really liked Uprooted so I'm excited for it because she approved haha. Mechanica, The Wrath and The Dawn and The Shadow Queen all sound awesome! I'm in love with the cover from Mechanica! WINTER. <3 Why oh why did it have to be pushed back?! I am DYING for it. That thing is gonna be a tome though lol. Love the teaser quote! Court of Thorns and Roses sounds wonderful! I kinda wish it was a standalone, but I can't wait to hear more about it. Oooooh thanks for this list!! So many pretties to get excited about. I can easily say that SJM's Court of Thorn and Roses is my most coveted one out of all these! I NEED that book in my life!!! Gah! I can't wait until we get to see a cover at least :D And of course I'm dying to get my hands on Fairest!! I love MM's Lunar Chronicles series and I've always enjoyed getting to know how a notorious villain gets to be that way! Lion Heart sounds/looks amazing too! There are SO many books here that I'm excited for!! Specifically Winter (AHHH, I'M SO EXCITED! ), Court of Throne and Roses (EEEKK! MORE SARAH J. MAAS!!) and Crimson Bound because I really enjoyed Cruel Beauty- it's a shame it's not a sequel, haha, but I do love Little Red Riding Hood! Court of Thorns and Roses sounds SO GOOD (though I still have to read her first series...I should really get on that). Also, I really need to read the rest of Marissa Meyer's books since I absolutely loved Cinder. So excited for these retellings! Love this list! I didn't know there were going to be so many releases! Some of these sound super awesome and as I am all for retellings myself, I can't wait!